During the winter months, many homeowners stay cozy in front of the fireplace or snuggle in their beds. But as warmer weather arrives, the backyard becomes their refuge. In addition to getting fresh air and appreciating nature, outdoor space should be inviting and comfortable. Keep it stylish, too, by adding a patio, beautifully manicured landscaping, or grouping of rattan furniture. Here are a few backyard ideas to upgrade your outdoor living. Less structural than an enclosed deck, pergolas offer shade and a great open spot to enjoy lunch. Planting wisteria or winding vines will fill in the spaces to give more protection from the sun and a cottage look. Hammocks are perfect for afternoon naps on lazy summer days. Even in a tiny backyard, this is a stylish way to take advantage of fresh air. If you don’t have two trees, some hammocks have stands. Make it pop by adding bright pillows and an outdoor area rug. For guest seating, use large floor pillows. Hang string lights for a romantic vibe. 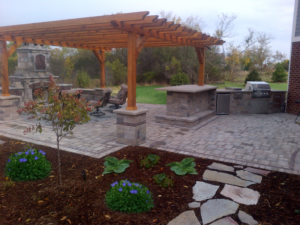 Add an Outdoor Kitchen Love to entertain? 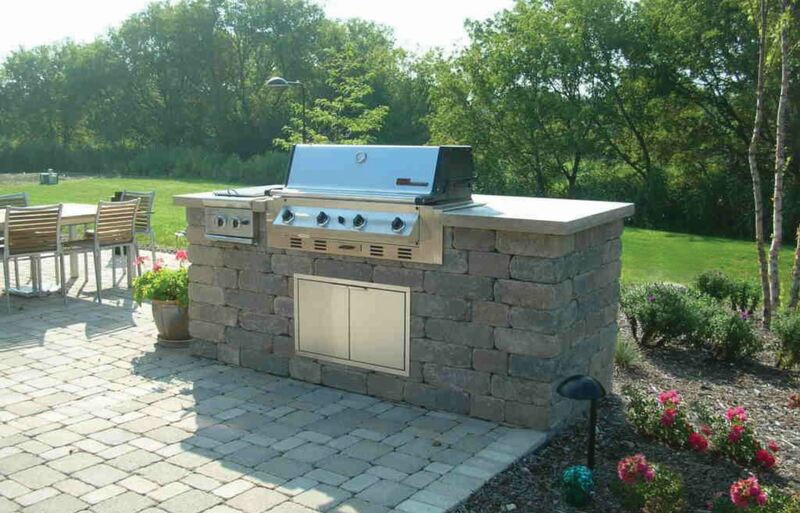 You may need more than just a grill – how about an outdoor kitchen? You’ll have running water, storage cabinets, seating – everything you need to be a master chef. Be sure to add enough lighting. You want everyone to see your delicious food! Waterscapes and Fountains are relaxing, soothing, and can mask the noise from traffic, barking dogs, and neighbors. Match the stone from your siding or use local fieldstone to blend it with your house. Create a seating area surrounding the fountain for a private paradise. The sight and fragrance of a flower garden will be stunning. Do you want a traditional English rose garden with hedges? Or something more natural and free-flowing with wildflowers? Do you prefer a color scheme – or a riot of color? It’s up to you. How About a “She Shed”? The latest trend, this is the more feminine version of a man cave. Add a small, enclosed building in the corner of the yard where someone can read, paint, be creative, or just relax in peace and quiet. If you have children or grandchildren, ensure that at least a portion of the backyard is safe and fun for them. Depending on their ages, add a play area with swings, climbing structures, and shade for resting. Consider asking the kids what they’d like. You may become the most popular house on the street! 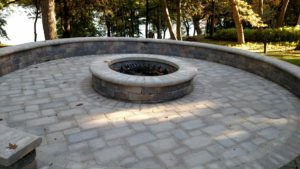 A Wisconsin standard, no yard is complete without a fire pit as a gathering place for family and friends. Just hanging out around the fire makes everyone feel relaxed. Create a wood fire pit or one using natural gas. Just be sure to give it enough space to not interfere with trees or other flammable materials. Add gravel around the perimeter of the pit, several Adirondack chairs, and get out the sticks and marshmallows! Are you getting inspired for a new backyard design? Call the professionals who can help make your vision come true. 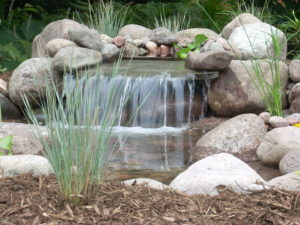 Createscape Landscaping Services serves southeastern Wisconsin and is an award-winning landscape design contractor. They work with their clients to design and build outdoor spaces that compliment their home and reflects their personality. Call today!